Instructions in how to install eXo Web Pack addon. 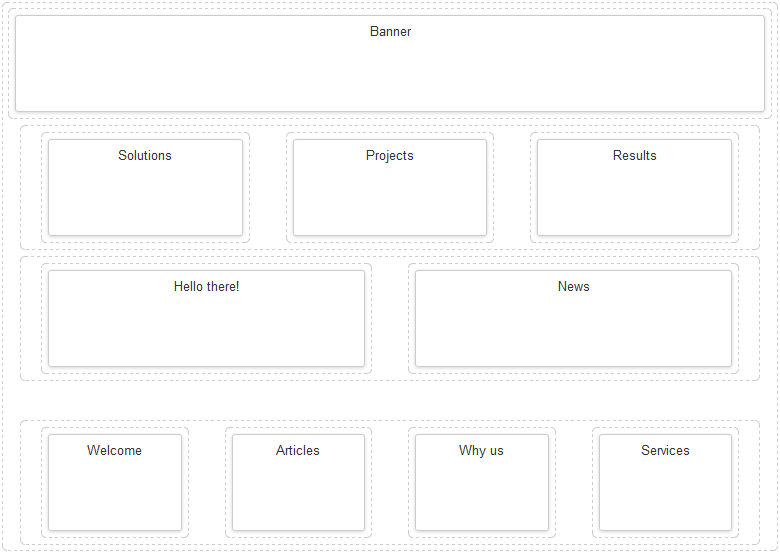 This chapter introduces the components that could be reused to build your new site. It assumes that you are already familiar with the administration of portal sites and pages. How to use eXo Web Pack addon. 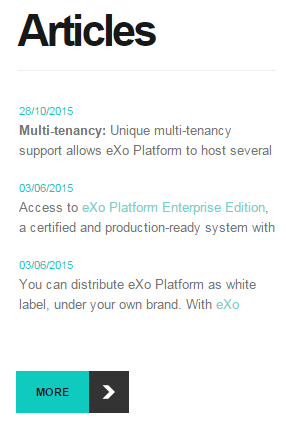 The eXo Web Pack add-on is supported for Enterprise edition. 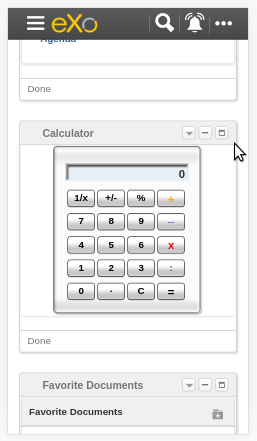 For Community edition, you can still install it by adding the --no-compat option. 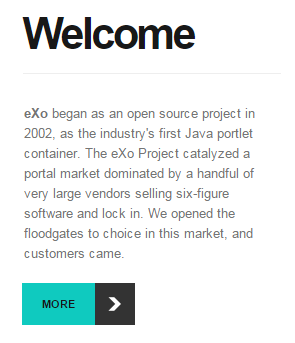 Install the eXo Web Pack add-on with the command: addon install exo-web-pack. 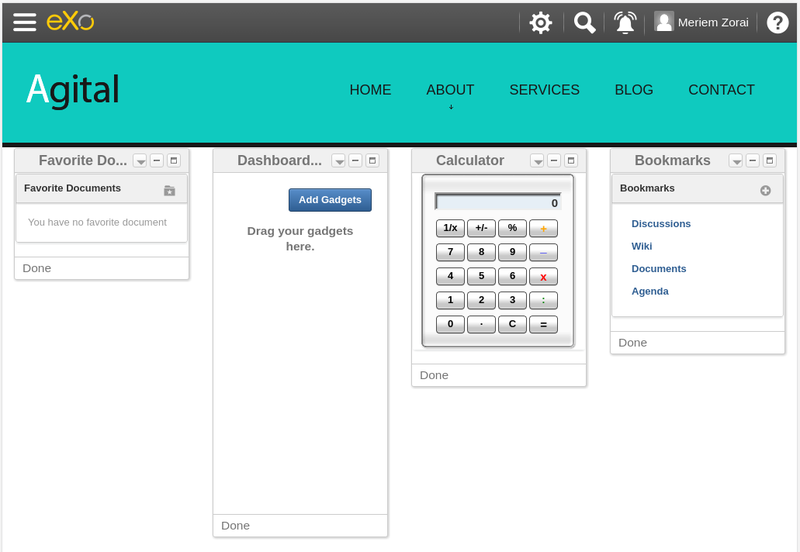 After installation, there are two new site templates that appear in the Portal Templates tab when you create a new site. 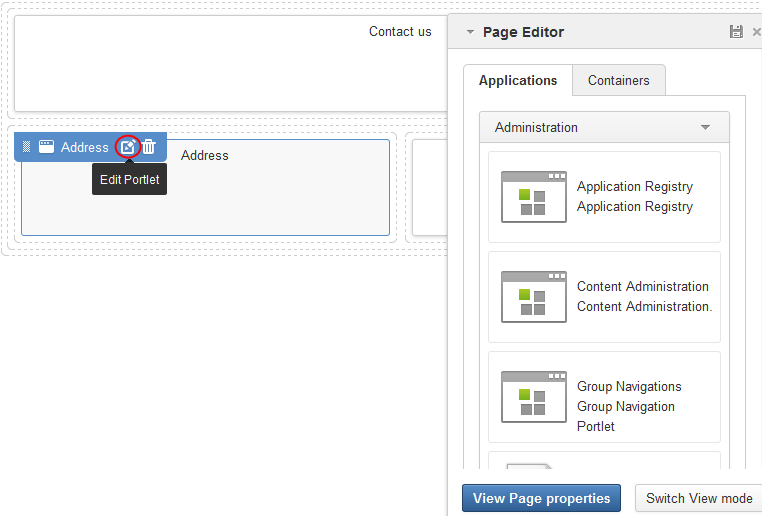 Select one of the two templates and set the Portal Name in the Portal Settings tab as “WCM”. 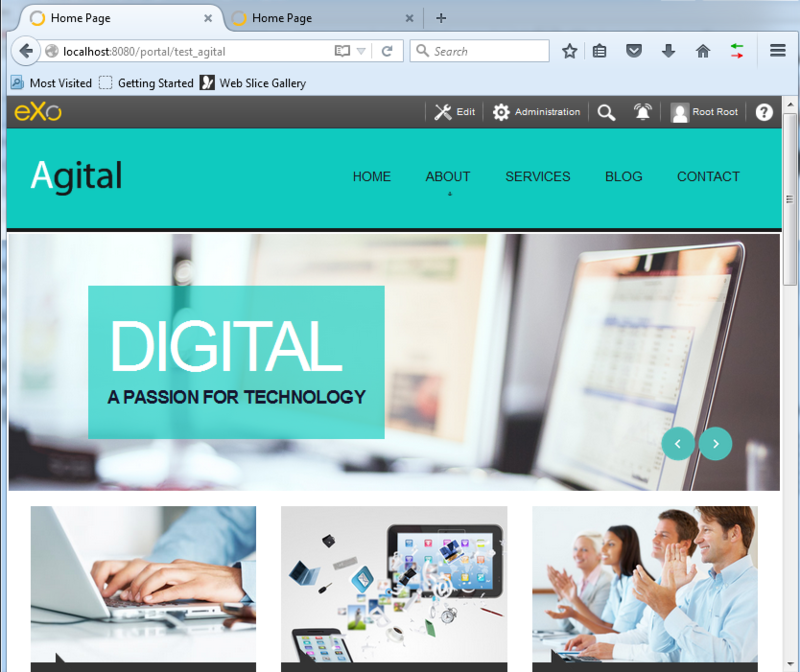 After creating the site, check it at http://mycompany.com:port/portal/WCM. to remove the WCM site, follow Deleting a site, Platform User guide. 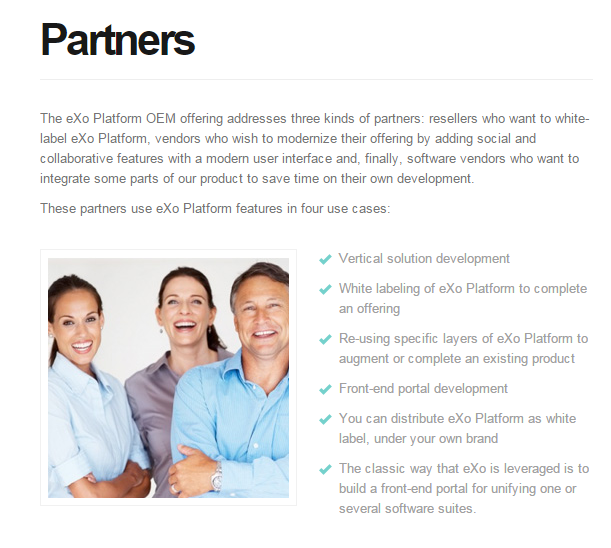 eXo Web Pack addon comes with different resources to help you build stunning website with eXo Platform. 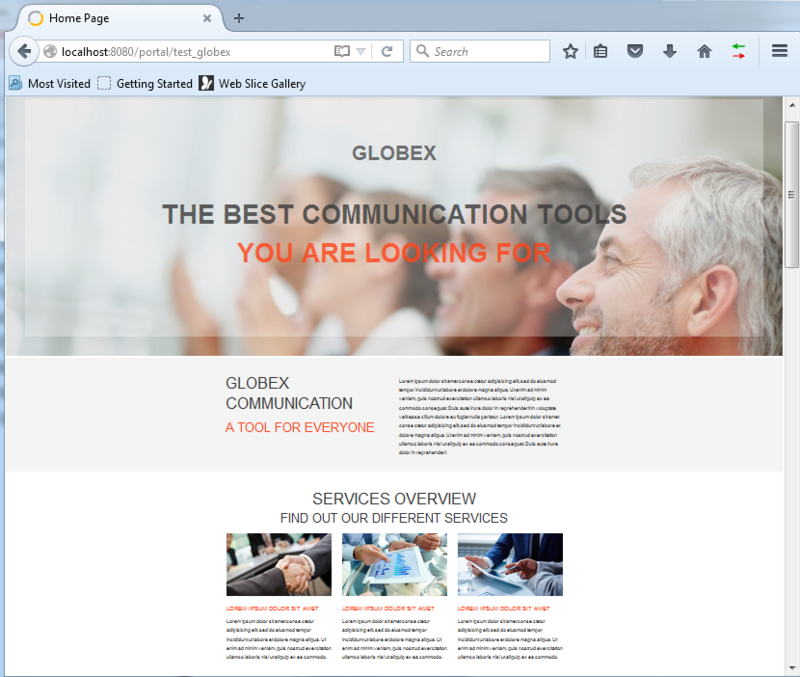 It contains, new page containers and applications for the page composer as well as rich content types that are implemented under several fully working site templates : Agital Globex and WAI. 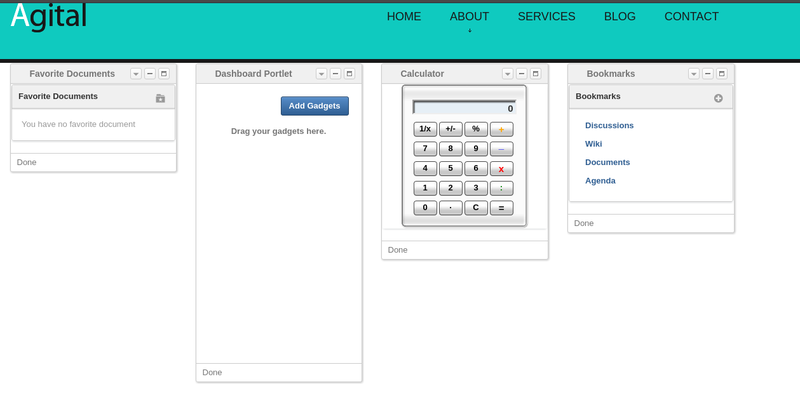 Adding a page under one of the three sites: Agital, Globex or WAI is similar as adding it under any other PRODUCT site. Please check this link Adding a new page. 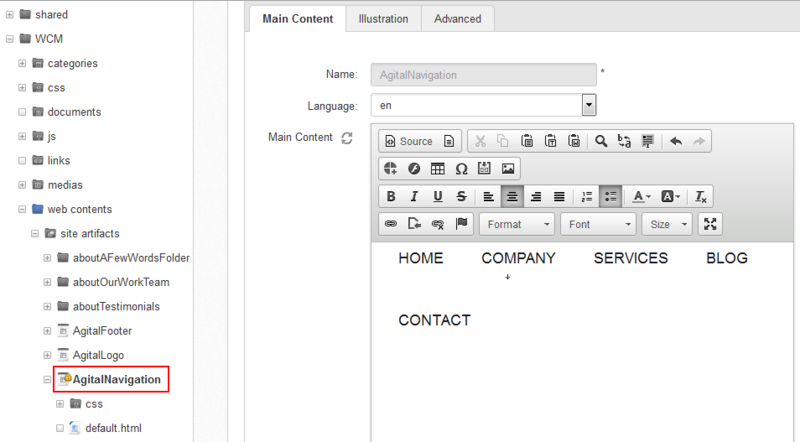 As shown in the previous screenshot, there are various container types: Rows layout, Columns layout, Autofit Columns layout, Tabs layout, Mixed layout and Responsive layout the one which is coming with eXo Web Pack addon. Single Column Layout: Inserts a column layout in the page. 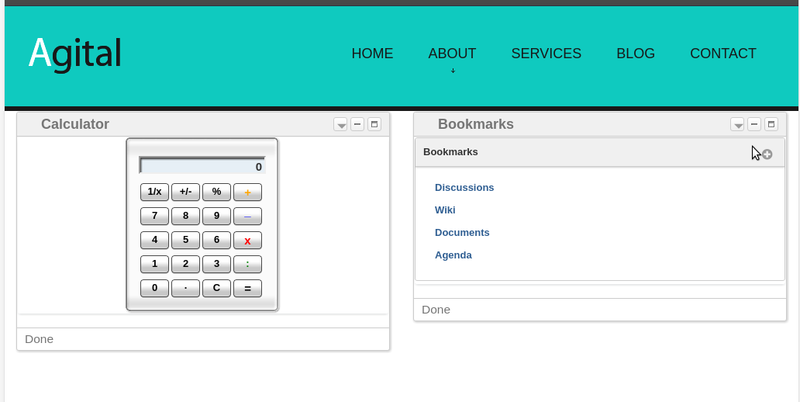 RowResponsive Layout: It inserts a row in the page. Two columns Layout: It inserts two columns in the page. Three columns Layout: It inserts three columns in the page. Four columns Layout: It inserts four columns in the page. 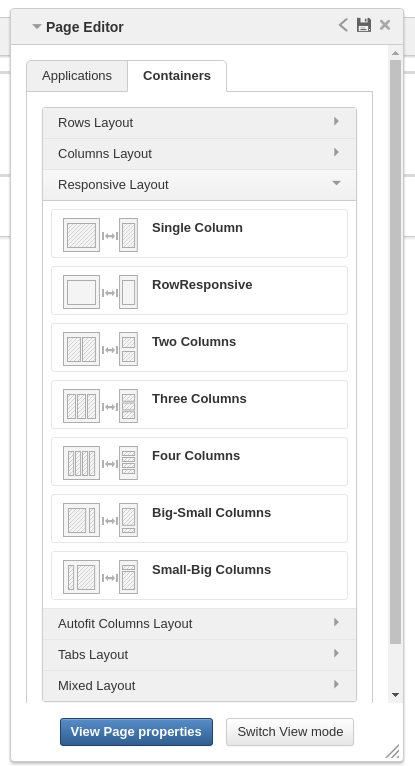 Big-Small columns Layout: It inserts a big column followed by a small one. Small-Big columns Layout: It inserts a small column followed by a big one. 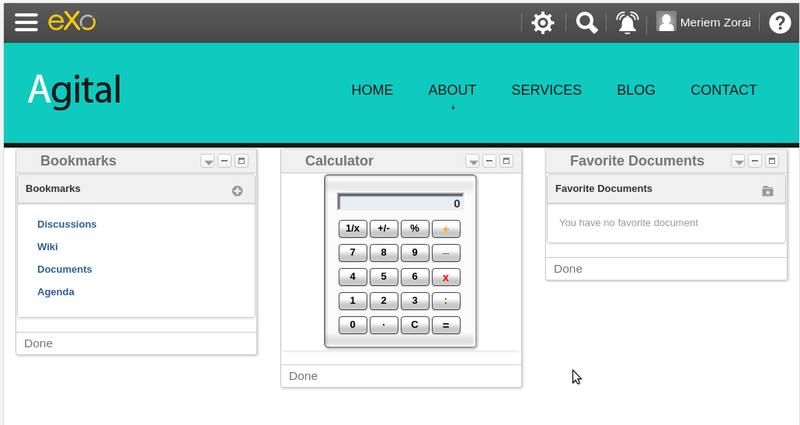 You can find other details about containers here Arranging Page Layout. You can nest containers i.e add containers into another one. 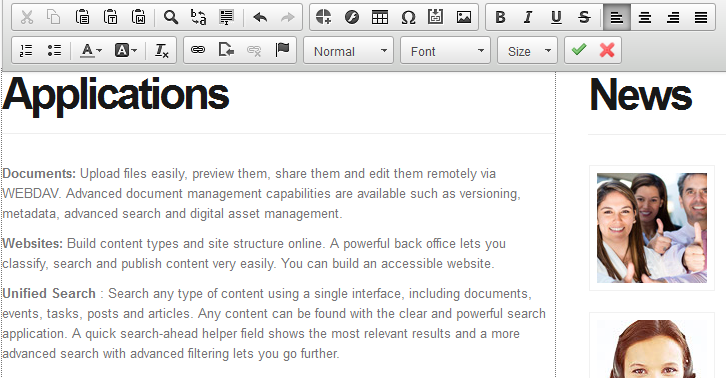 Blog articles: It is a content list viewer portlet that helps to display different contents/articles. Image Slider: It displays an image slideshow. When creating a new site through one of eXo Web Pack templates, a folder is associated to the site under :ref`Sites explorer <PLFRefGuide.Application.Portlets.Content.SitesExplorer>`. You can add contents, upload files under this folder. Accessible media: It adds a content with a media to display. The attached media should be following WCAG accessibility guidelines. 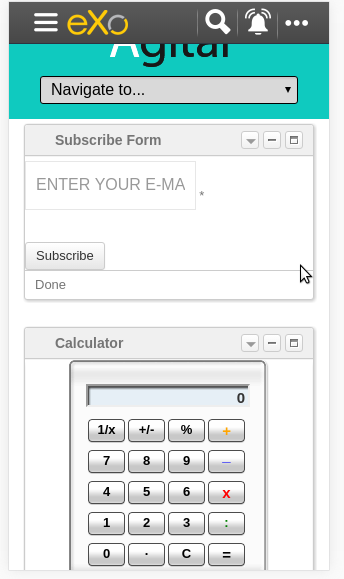 Subscribe: It has a field for email insertion. Same as the contact us form it is named with the date and hour of creation. 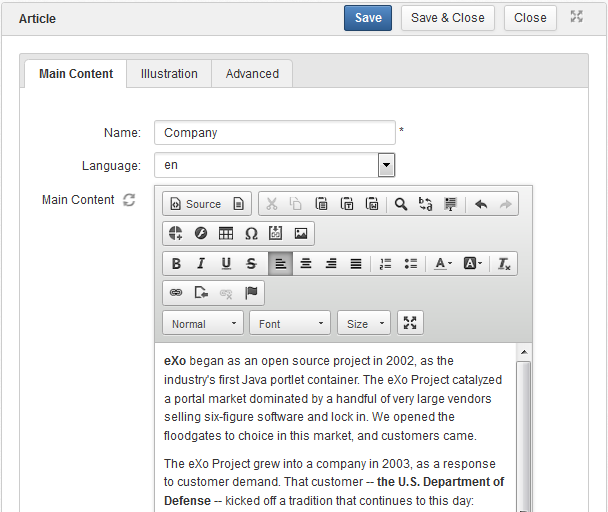 Check other available content types by installing eXo Web Pack. In the following sections, we will detail how the below content types are implemented within sample websites (Agital, Globex and WAI) which could serve as a basis for building rich websites. A site that you intend to publish is a combination of pages, portlets and content. In WCM site templates, these components have been initialized to generate a useful design for you, so you just need to replace with your new content and decide which parts to be provided for users. This section will walk you through how to do this. You can restrict which users/groups that have the right to access or modify components of the WCM site by setting these permissions for the entire site, its pages, or even its portlets or specific contents. Go to Administration –> Portal –> Sites. Follow these instructions to set suitable permissions. Go to Administration –> Portal –> Pages and look for the WCM pages. Tick Everyone if you want to make this portlet public to everybody. 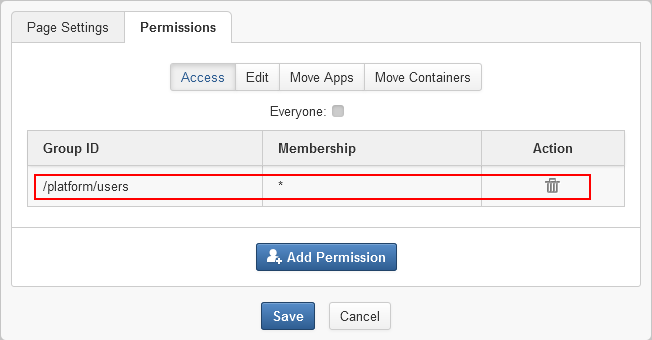 If not, just specify certain groups by using the Add Permission button. 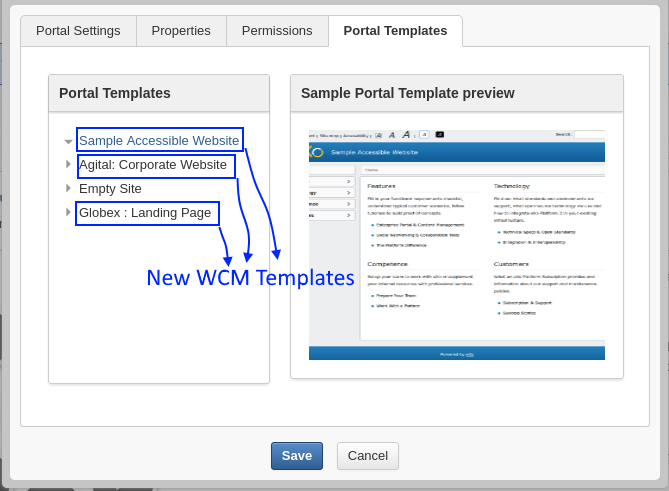 All contents displayed on the WCM site are stored under the WCM folder in Sites Explorer so that you can set permissions on each of them. Go to Administration –> Content –> Sites Explorer and look for the WCM folder. Select any content under the WCM folder that you would like to change permissions. Click Permissions on the Action bar. Refer to this guide to set suitable permissions for your documents. 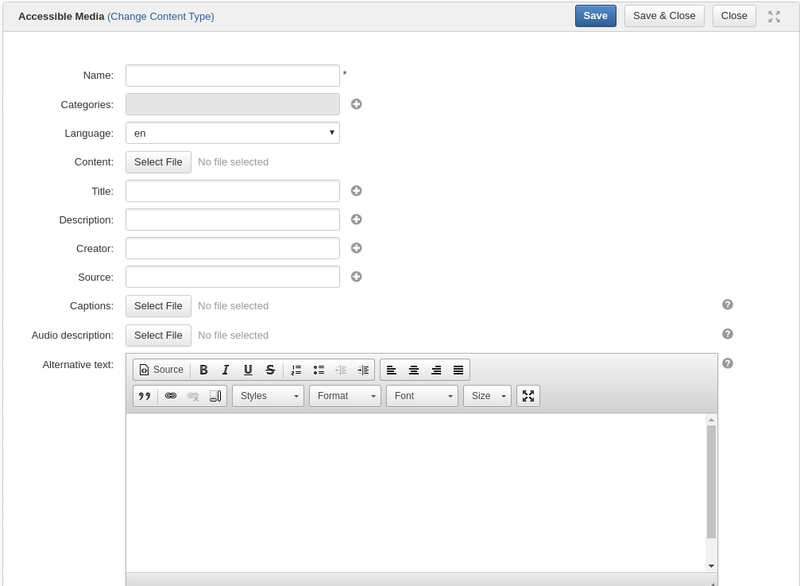 Each content displayed on the WCM site is able to be modified. There are two ways to do this. 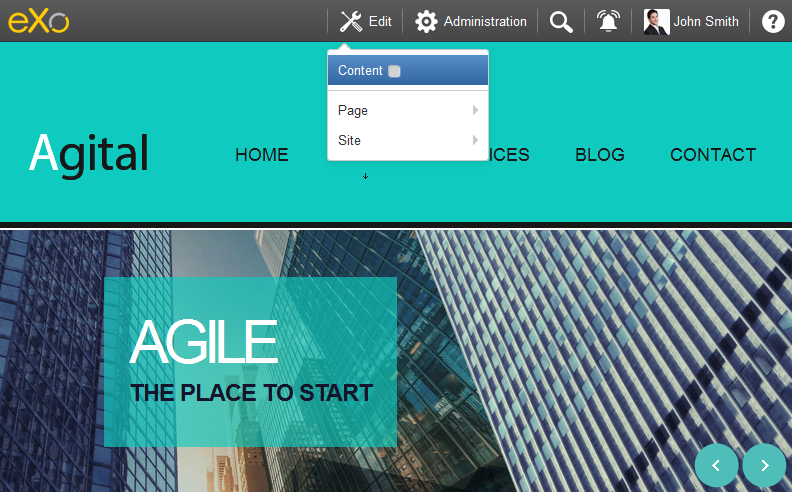 Select Edit from the top navigation bar and tick the Content checkbox to edit your site content on-site. To modify a content by this way, you need to find exactly where its sources are located. 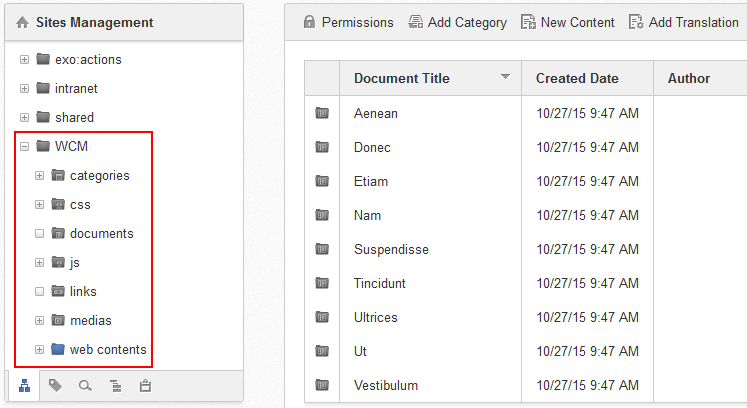 Go to Administration –> Content –> Sites Explorer. The updated content needs to be published again, see this guide for more details. Click the New Content button on the Action bar. Click Save or Save & Close to save this article. Select the content that you want to publish. Click More –> Publications –> Published or More –> Publish. The content will be available on your WCM site immediately. 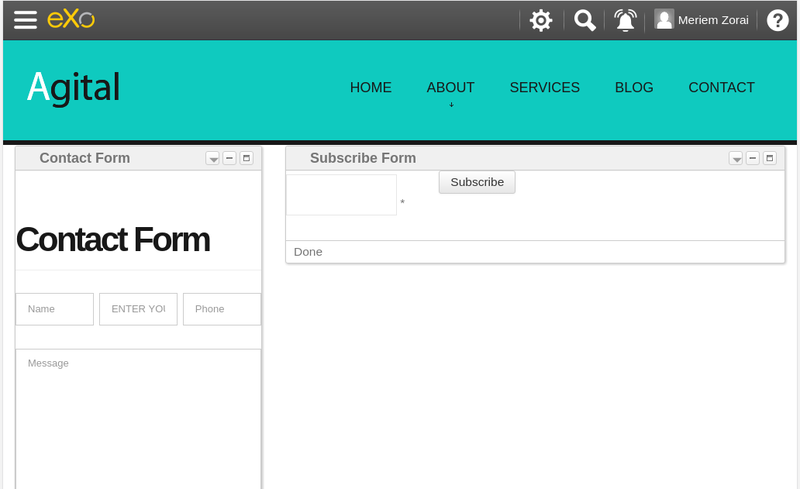 This template is designed with five main pages, including the Home, About, Services, Blog and Contact pages. In this section, you are going to learn how to leverage this design to best introduce your company. 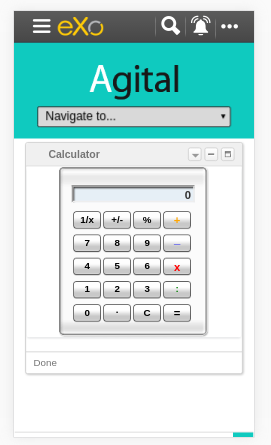 The logo is a web content named AgitalLogo which is located in the WCM/web contents/site artifacts folder in Sites Explorer. This navigation is a web content named AgitalNavigation which is located in the WCM/web contents/site artifacts folder in Sites Explorer. Besides, you have an option to include a title and a subtitle for each image. These three portlets bring you a chance to present essential information, such as projects, potential solutions and achievements. These contents are located in the WCM/web contents/site artifacts folder with the names homeProjects, homeSolutions and homeResults respectively. Their resources are located in the WCM/web contents/site artifacts folder with the names Home, homeWelcomeFolder and homeWhyUs respectively. 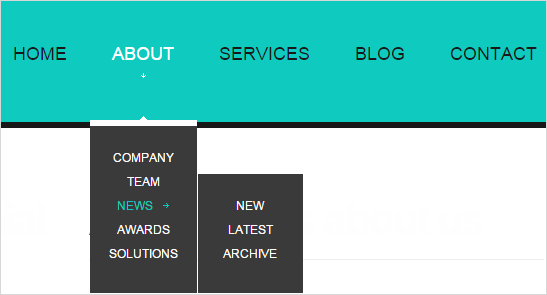 These portlets show daily updated information which could be under a news or an article. The information is displayed as a list by the created time. 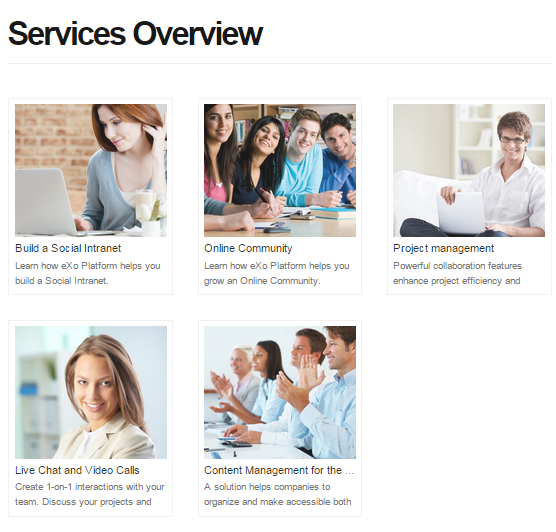 The portlet lists the services that your company is offering to customers. 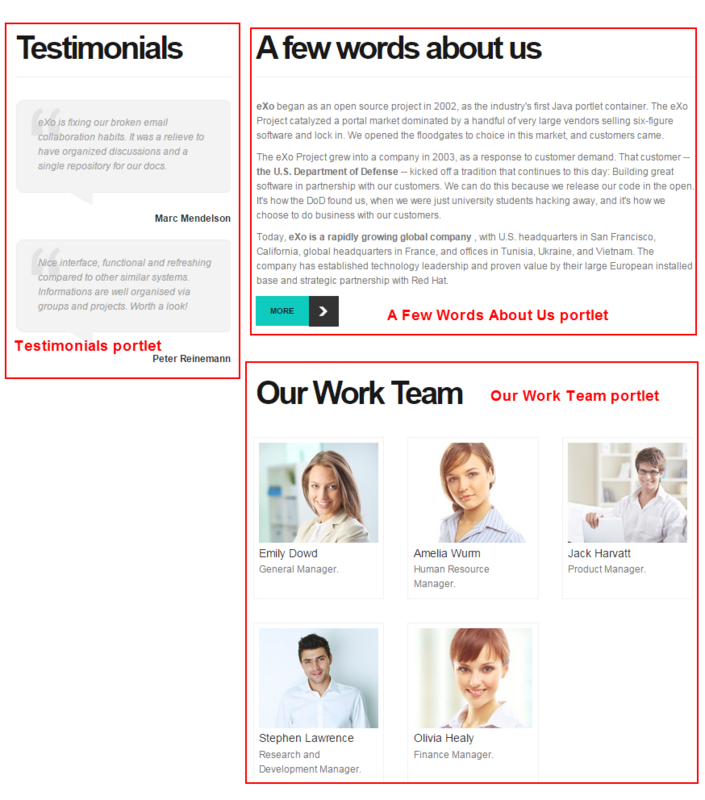 The Testimonials portlet shows words from other partners saying about your company, products and services. Its resources are located under the WCM/web contents/site artifacts/aboutTestimonials folder. The A Few Words About Us portlet shows brief words about your company. Its resources are located under the WCM/web contents/site artifacts/aboutAFewWordsFolder folder. The Our Work Team portlet presents the key members in your company. Its resources are located under the WCM/web contents/site artifacts/aboutOurWorkTeam folder. This page contains only one portlet which is the Services portlet. This portlet displays the same information as this one but with an illustrative image and a short description. 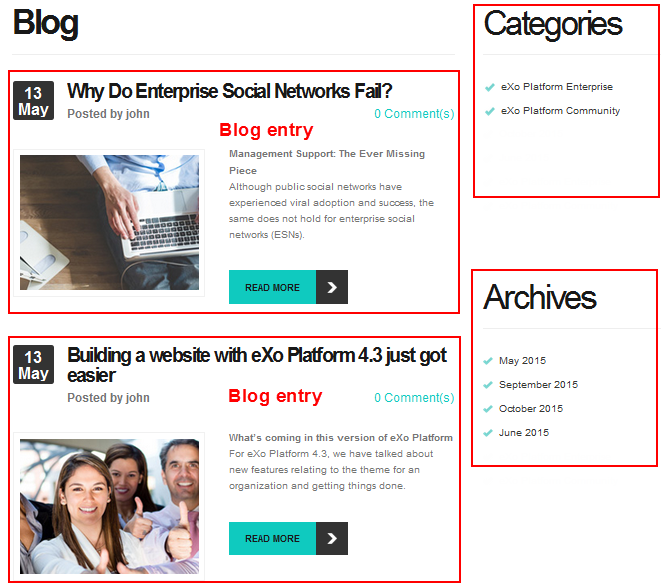 This page lists all blog posts as well as their categories and archives. 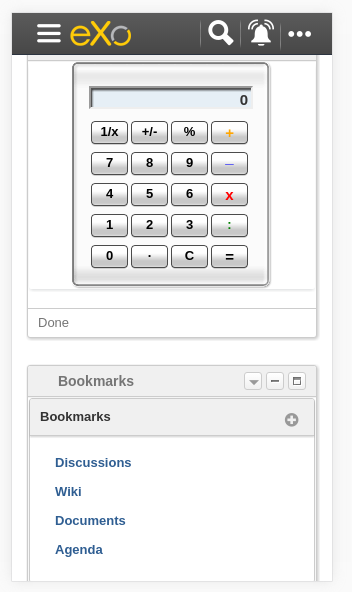 The Comment feature is integrated to allow commenting on each blog entry. This page provides you with three useful tools which are the Contact Us, Contact Form and Address portlets. 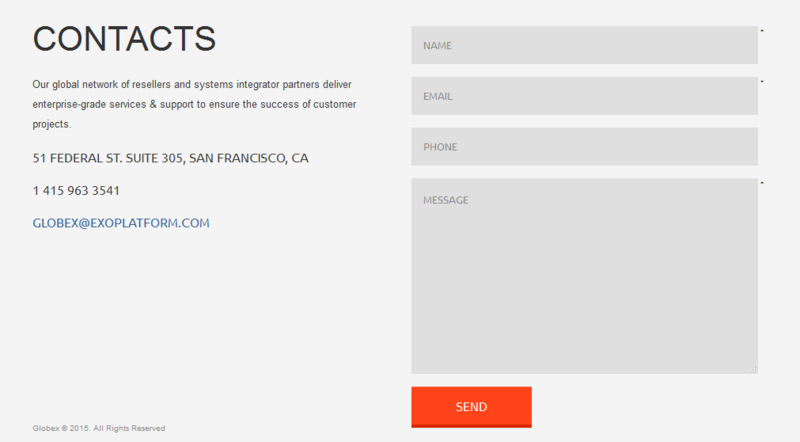 These portlets help you to show the company address and provide a form to collect feedback from customers. The first part with the Title, Introduction, Services, Feature, Video and Quote portlets. 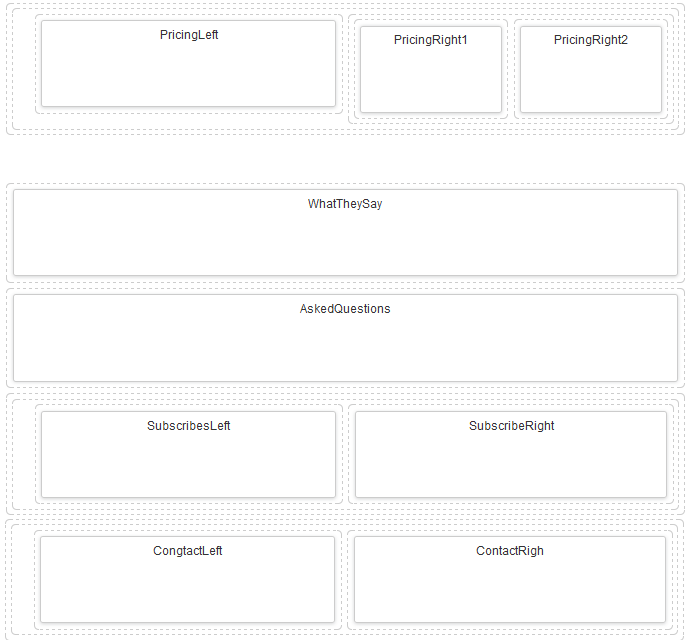 The second part with the PricingLeft, PricingRight1, PricingRight2, WhatTheySay, AskedQuestions, SubscribesLeft, SubscribesRight, ContactLeft and ContactRight portlets. You will be introduced each of these portlets in more details about their usage. 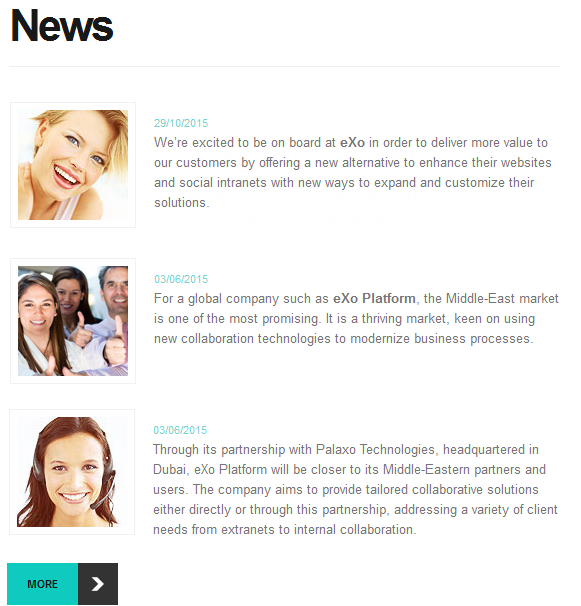 This is a web content that contains a background image, company name and some additional titles. These resources are located in the WCM/web contents/site artifacts/Title folder. This is a web content that shows a short description about your product. The resource is located in the WCM/web contents/site artifacts/introductions folder. This is the same as this portlet but with an additional title and subtitle. This portlet presents the most outstanding features of your product. 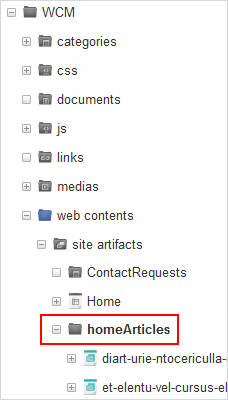 You can find the resources in the WCM/web contents/site artifacts/Features folder. This portlet embeds an introduction video of your product. Supported videos include youtube, vimeo and dailymotion. 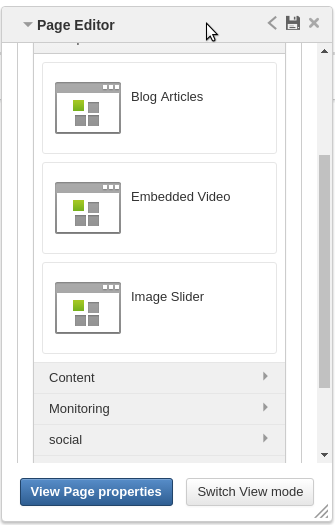 You can find the resources in the WCM/web contents/site artifacts/video content. This portlet shows well-known words of a celebrity. You can find the resources in the WCM/web contents/site artifacts/quote content. This section contains three portlets that allow you to provide customers with pricing information for basic and professional versions of your product. You can find the resources named pricingleft, pricingmid and pricingright in the WCM/web contents/site artifacts folder. This is the same as the Testimonials portlet in this template but with a different style. 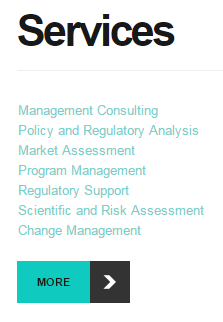 You can find the resources in the WCM/web contents/site artifacts/whattheysay folder. This portlet displays the most frequently asked questions from your customers. You can find the resources in the WCM/web contents/site artifacts/AskedQuestions folder. 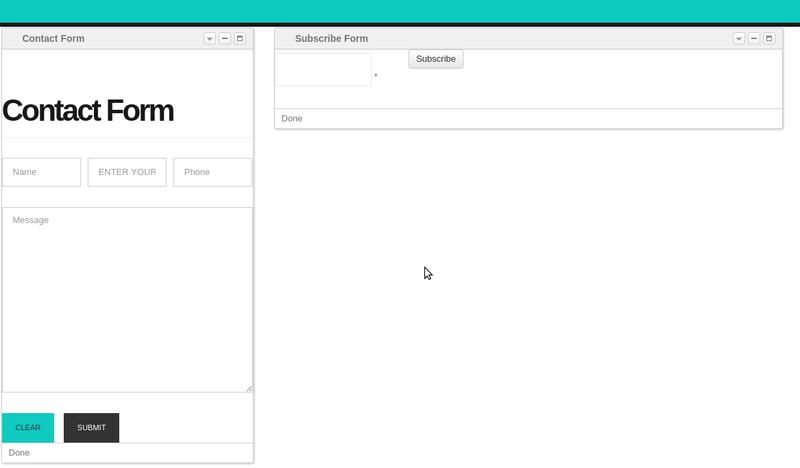 This portlet allows people to subscribe your product by their email. 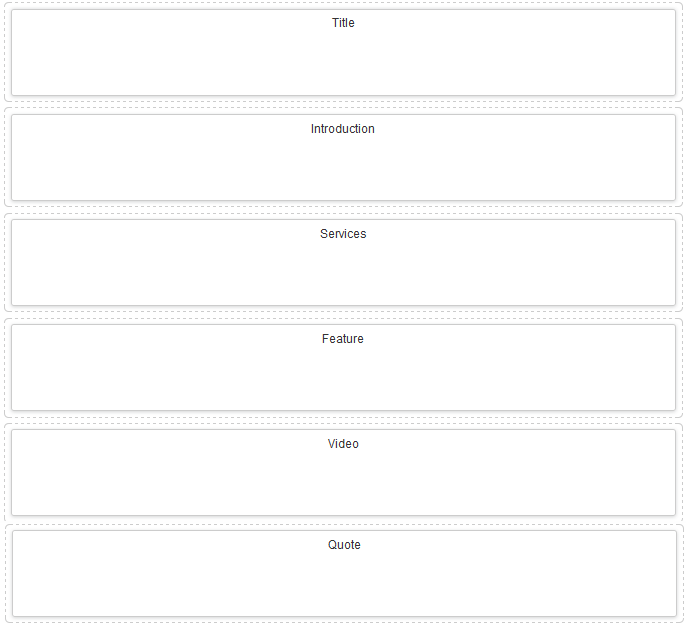 You can find the resources in the WCM/web contents/site artifacts/subscribes content. 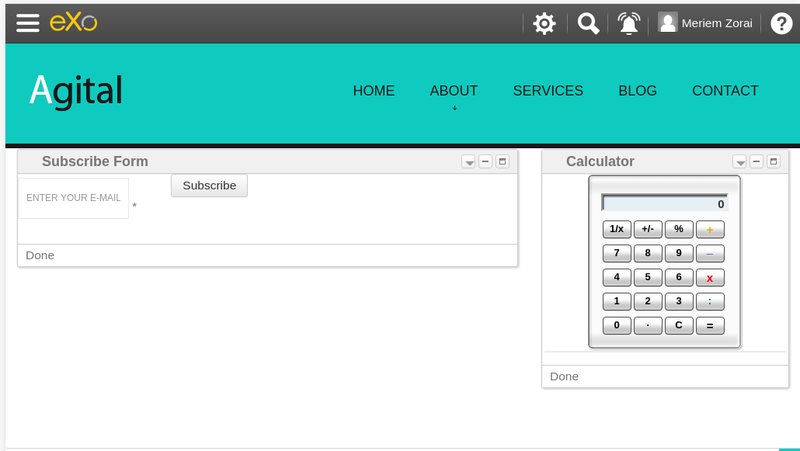 This portlet helps you to show the company address and provide a form to collect feedback from customers. 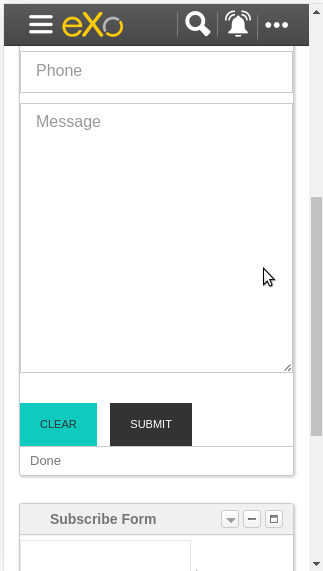 You can find the resources in the WCM/web contents/site artifacts/contact content. 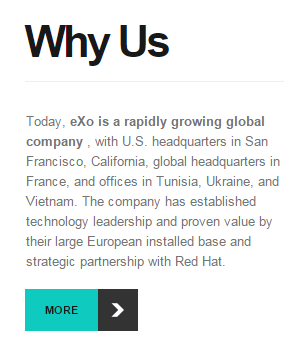 The homepage of WAI appears as below. Skip to content : Ignores navigation links, banner, or redundant information, and directly go to the main content of a page. 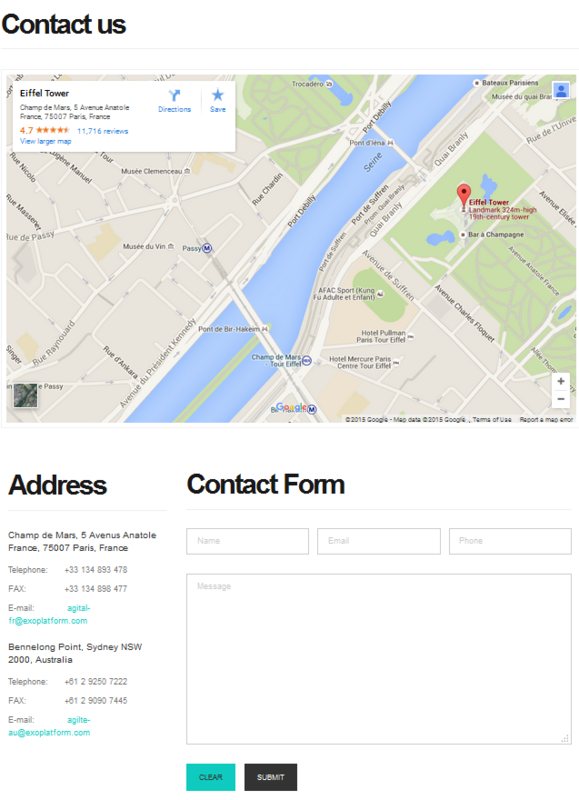 Site map : Shows a list of pages of the current template. Accessibility : Accesses a specific page about the accessibility policy. 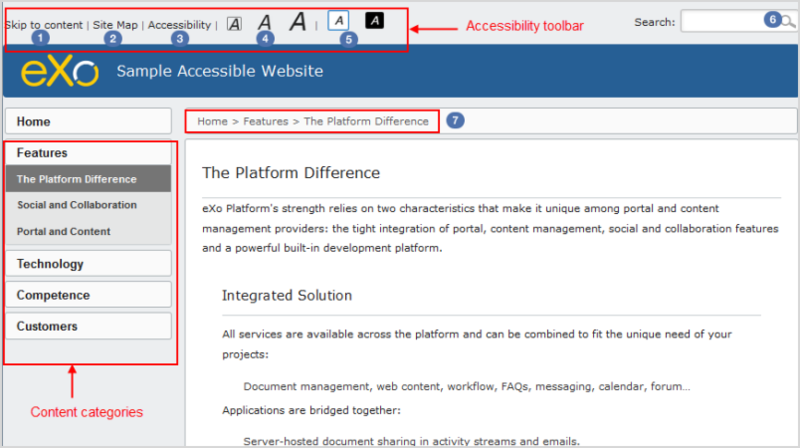 It explains what the accessibility is, how to navigate into the site, and describes the available features of the accessible portal. Font size : Selects your desired font size, including Normal, Medium, and Large sizes. The default size is Normal. Color themes : Changes the skin color of the website into High Contrast, or return to the default skin with Normal Contrast. Search : Searches for accessible content in the website. 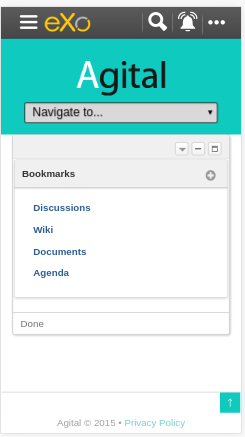 Breadcrumb : Eases and keeps a consistent navigation. 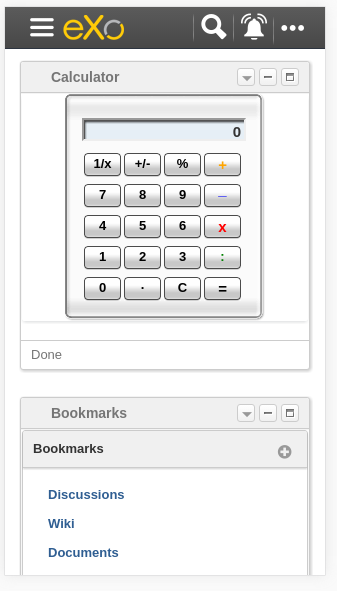 With the breadcrumb, you can easily navigate in an accessible website.